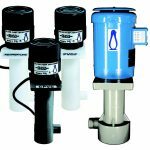 Penguin Pumps offer the most advanced pumps for every industrial application. 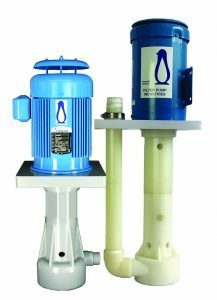 Penguin pumps are ruggedly constructed yet compact, energy-efficient, easily maintained, corrosion-resistant, capable of handling both high temperatures and high flow rates and feature the latest hydraulic technology. Our pumps are ideally suited for the demands of chemical and metals processing industries and are compatible with a wide range of acids, alkaline and abrasive solutions. Our vertical pump line features an extended design for immersion into solutions. 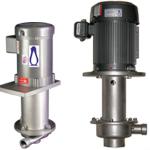 Please check out our vast selection of pumps for your precise need. We also design custom pumps. Please contact our engineering department. 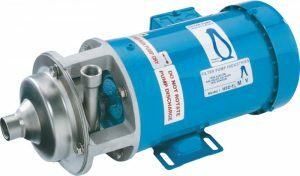 Series M Magnetic Drive Pumps are corrosion resistant to a wide range of chemical solutions including acids, alkalies and caustics up to 180ºF. Horizontal End Suction Centrifugal pumps are designed with the latest hydraulic technology. A volute design provides an energy-saving pump, because less horsepower is required. Series HD Multi-stage Horizontal Diffuser Pumps (Model HD-1-1/2-2) are designed for higher pressure and moderate flow rate applications.